CAPITOL HILL – Secretary of the Navy Richard V. Spencer’s strategic study in the wake of two deadly collisions at sea this year intends to question everything the Navy does – how missions are tasked to ships, whether the service still needs its five numbered fleets, the relationship between the East Coast and West Coast fleets, and more – the secretary told USNI News today after testifying to the Senate Armed Services Committee. 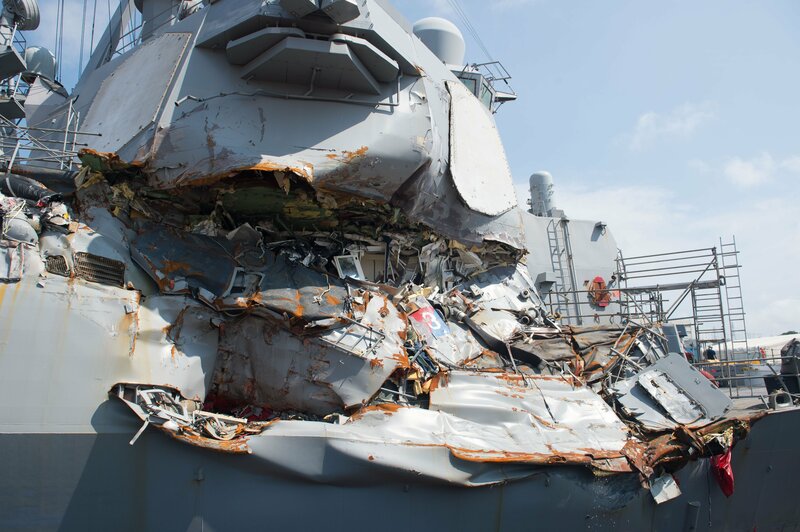 Spencer described three ongoing efforts in the aftermath of the fatal USS Fitzgerald (DDG-62) and USS John S. McCain (DDG-56) collisions this year: near-term actions, such as going hull by hull to determine material readiness, immediate training on radar plot, and other actions recently implemented by the fleet; a chief of naval operations-directed study on the “tactical workings of how we operate the forward fleet;” and Spencer’s strategic study. “I’m going to be focusing on how we’re tasked – the root causes of the fact that [combatant commanders] turn around and give us a full slate when we’re going to fill 47 percent,” he told USNI News, referring to the Navy’s ability to fulfill COCOM requests for Navy ship presence. 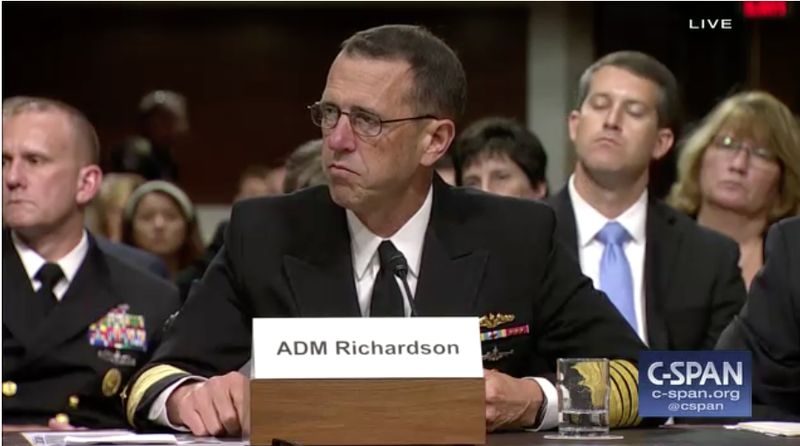 Spencer said the incident reports and the Judge Advocate General Manual (JAGMAN) investigation should wrap up in early fall, CNO’s review should wrap up in mid- to late-October, and his strategic review should wrap up in mid- to late-November. 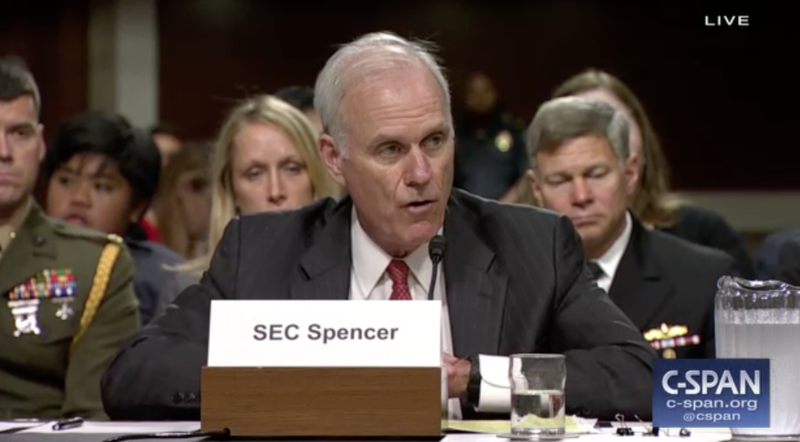 Additionally, Spencer said during the hearing that his office, along with the CNO and commandant of the Marine Corps, are reviewing all instructions to see whether they contribute to readiness or lethality. If not, the service may look to eliminate them, particularly if they require actions that take time away from readiness and lethality initiatives. “If we find instructions that are not focusing on those two items (readiness and lethality), we’re going to bring them to your attention if you have control of them,” he said to the lawmakers at the hearing.